We can’t recommend the Infiniti M56 enough, in contrast with the base M37. In our opinion, luxury buyers will be turned off by the V-6 car’s noise and vibration—and the M56’s not that much more expensive. The 2011 Infiniti M sedans are on a mission: to erase some of the distance shoppers put between the German super sedans and Nissan's most luxurious and powerful four-doors. With subtle, gorgeous good looks and truly great handling, the M37 and M56 arrive none too soon to replace the dynamic-driving, but not as dynamic-looking, 2010 M35 and M45. At a base price well under $50,000 and a top end higher than $60,000, the 2011 Infiniti M37 and M56 will compete with the Audi A6, the Mercedes-Benz E-Class, the BMW 5-Series, the Lexus GS, the Jaguar XF, and even the Hyundai Genesis and Lincoln MKS—but it’s the E-Class, 5-Series and XF that find themselves outgunned in many ways by the new M.
The latest Infiniti M sedan's a striking departure, inside and out. Inspiration has taken charge of the big Infiniti M, by way of the 2009 Essence concept. Borrowing cues from that styling-studio exercise, the 2011 M is the most graceful, voluptuous Infiniti yet. Swelling fenders flow from the car's grille, and flex from concave to convex surfaces along its shoulder, ending in an abbreviated, sloping trunk. It's a long, long way from the ungainly old Infiniti J30, for sure--though in person the M seems to sit a little tall on its tires. The whole car bears a much-improved, more aggressive look than the somewhat bland wrapper of the previous M--especially with the big five-spoke wheels on some models that would fit right on a Nissan 370Z roadster. 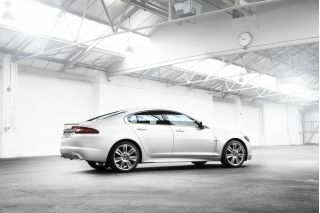 It’s far more expressive than just about everything in its class, even the ravishing Jaguar XF. The 2011 M's interior pushes Japanese tradition and technology-adds ons into an opulent marriage. There's wood trim, lots of leather hides, and on some versions, a special wood trim treated with silver dust. It's an elegant and neatly arranged cockpit, rich in feel and visual appeal. The center console sits up and out prominently, like a jewelry case, and wears buttons for audio and climate controls that sit under under a large LCD screen that displays their outputs. 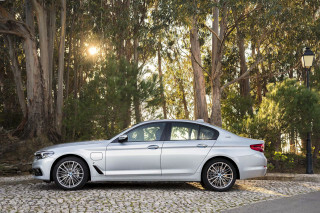 The M exudes refinement: it has more wood trim than a Jaguar XF, and that wave of organica is more compelling than the usual afterthought applications. The versions fitted with silver-dust-buffed wood trim, a sueded headliner and semi-aniline leather (meaning, it’s not buffed of all imperfections) are Infiniti’s best yet. It’s substantial and attractive, and a sensual score even in this pricey class. The M56's a grippy gas; the M37's almost as quick, but makes a fuss about it. In this generation, the M37 and M56 make more distinct cases for themselves. 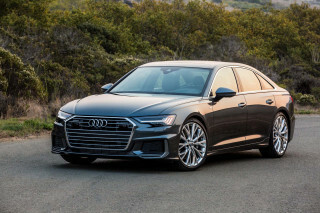 Base versions share an uprated version of the corporate 3.7-liter V-6, rated at 330 horsepower and 270 lb-ft of torque, for a 25-hp bump over the 2010 model. The V-6 version has the noticeable, vibration-ridden feel of a modern-day Nissan, and it needs to improve. At wide-open throttle the M37 is loud and transmits a lot of unwanted shake into the steering column and floorpan that’s sure to be noticed by any buyer in the $50,000 sedan segment. Over the course of a day near San Diego, we spent far more time in the V-8-powered M56, for good reason. Only a few thousand more dollars replaces the V-6 with a hellacious 5.6-liter V-8 engine, the easy choice between the two 2011 M sedans. This version drills out 420 horsepower and 417 lb-ft of torque--almost 100 hp more than the last V-8 M—and thunders along with AMG-style power. Though the engine block’s related to the Titan pickup’s V-8, not the old 4.5-liter Infiniti engine, we noticed just a small vibration in one all-wheel-drive version; otherwise the M56 fleet we sampled ran startlingly fast, and built up speed with amazing force. Both engines pair up with a seven-speed automatic transmission with a manual-shift mode, rev-matching, and available paddle shifters. The transmission likes to hold on to gears a long, long time, but downshifts snap off quickly, and the Ms are happy to pound out quick, unobtrusive gear changes at your command when the automatic’s moved to manual mode. We’re big fans of shift paddles, and the M56 shows exactly why shifter-based manual modes are goofy: who wants to remove a hand from the wheel while you’re diving into a 15-mph corner? Like the German competition, the Infiniti M automatic also adds an optional set of electronic controls for transmission shifting and throttle response, with four individual settings (Sport, Normal, Eco and Snow). You’ll be fine leaving it in Normal almost all of the time. Great handling--quick, responsive steering and capable, supple ride--are an elusive mix, and Infiniti's nailed it. The steering has the right weight and turn-in feel. The rear-wheel-drive chassis is balanced and responsive for such a long car; all-wheel drive is an option, and doesn’t dull that edge too much. All versions ride over the worst surfaces with aplomb. The suspension remains a control-arm and multi-link design; a Sport package for rear-drive cars adds sport tuning for the suspension and sport-duty brakes, along with 20-inch wheels and four-wheel active steering, and it’s our preferred setup—not too hard, not soft at all. 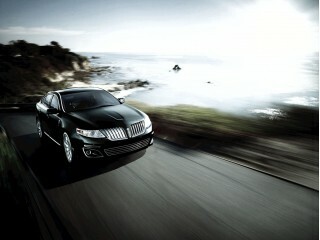 Available Active Tracing Control manipulates power levels and anti-lock brakes to help the M sedan corner more quickly. And big, strong brakes on all versions come standard with lots of pedal feel. 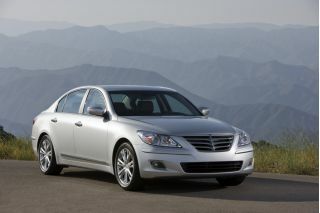 An M35 Hybrid is planned for the 2012 model year. It's hard to find fault with the 2011 M's interior space or its fit and finish. 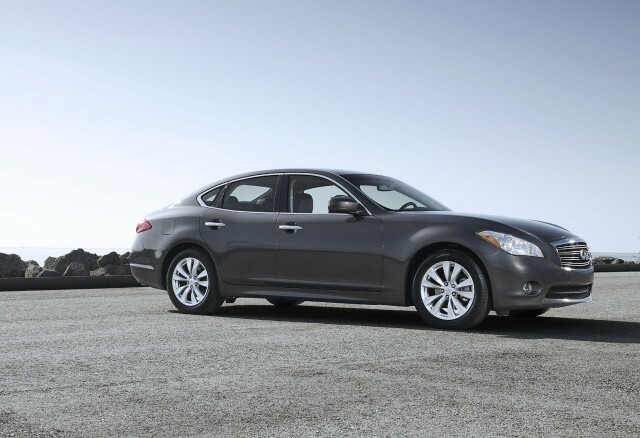 The 2011 Infiniti M looks distinct from the past edition, but it rests on an identical 114.2-inch wheelbase. It’s 1.5 inches wider, slightly longer and slightly lower. That translates into plenty of room for four adults, and a fifth on occasion. It’s an exceptionally comfortable place to ride, in front or in back. Both driver and front passenger get 10-way power seats, and the front cabin has good head and shoulder room, minus a little width for the thicker center console. The back seats' high, supportive cushions felt fine, but the tall doors and rear deck gives the rear seat a closed-in feel. Back-seat comfort is tops in its class, however–the seats truly are sculpted to a human form. The tallest passengers might find it a little light on headroom, but the 2011 M doesn’t sacrifice rear-seat comfort for its looks, as do the Jaguar XF and to some degree, the seat-on-the-floor Audi A6. The M's trunk is usefully large, though not all that long; cabin storage is fine, with a shallow-ish console augmented by a deep glovebox. It's a little gadget-happy when it comes to safety, but the expensive options are icing. We’re counting on great crash-test scores for the 2011 M.
The previous generation was rated “Good” by the Insurance Institute for Highway Safety (IIHS), and not rated by the National Highway Traffic Safety Administration (NHTSA). No tests have been performed yet on the latest version. Dual front, side and curtain airbags are standard, along with anti-lock brakes; active headrests; and traction and stability control. A rearview camera and parking sensors are standard. 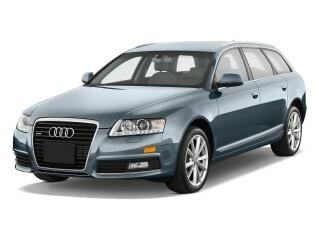 As for safety options, dynamic cruise control will be offered, along with adaptive headlamps. There’s also an advanced, optional blind-spot and lane-departure warning system designed to alert the driver if another vehicle is detected in an adjacent lane during an intended lane change, and then help assist the driver in returning the vehicle toward the center of the original lane of travel. I’ve never been a fan of these systems, but they do work as advertised – the steering subtly nudges you back on line, alerts for side-approaches. It’s just a bit too much intervention for my tastes--and maybe a little too flashy for a car of the 2011 M’s subtle good taste. Luxury and entertainment features about in the 2011 M, with a handful of well-chosen options. Lavish standard equipment is the norm in Infiniti vehicles, and the 2011 M won't be any different. Leather seating is standard, along with 10-way power seats with memory and heating up front; keyless entry and push-button start, with memory for audio, navigation and climate settings; a hard-drive navigation system; an AM/FM/six-CD/XM sound system with USB connectivity; Bluetooth; a power tilt/telescoping steering wheel; and a moonroof. 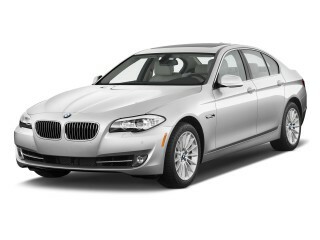 The M56 and M56x add Bose audio, the heated steering wheel and ventilated front seats standard; they also gets standard Bluetooth streaming, voice-activated navigation, XM traffic and weather with Zagat restaurant guides; a music hard drive, and an in-dash DVD player—all of which are available on the M37. A Sport package adds 20-inch wheels, sport seats and steering wheel, and aluminum pedal trim to rear-drive versions. Other options will include ventilated seats; a heated steering wheel; real-time traffic; a power sunshade; quilted leather; the white-ash, silver-powdered wood trim; and a premium audio system with surround-sound speakers mounted in the front seats. The audio systems have stunning clarity, but like almost every other vehicle I’ve tested this year, the Bluetooth streaming feature doesn’t allow the steering-wheel controls to switch tracks on my iPhone. Is it Apple’s notoriously touchy attitude at work here too? 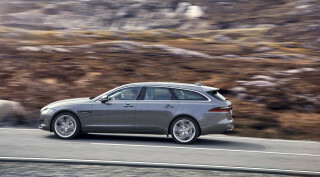 The big sedans do as well as the competition; a stingy Hybrid comes next year. Fuel economy checks in at 18/26 mpg for V-6 editions with rear-drive, and 17/24 mpg for all-wheel-drive versions of the 2011 Infiniti M.
Gas mileage is 16/25 mpg with the V-8 and rear-wheel drive, 16/23 mpg for the V-8 AWD—decently improved figures for a car that weighs between 3858 and 4224 pounds. For this greener moment in time, they’ve added an "Eco Pedal" feature that gives haptic feedback when it senses the chance to save fuel—but most drivers who know enough to buy an Infiniti will know how to best the city fuel-economy numbers. A 2012 Infiniti M35 Hybrid is on the way, by the way. Looking for a different year of the INFINITI M?